Hilton has signed a management agreement with Jabavu Village Ltd to open a 255 guest-room and suite hotel in Upper Hill in Kenya’s capital. Hilton Nairobi Upper Hill will comprise of an Executive Lounge and five food and beverage outlets, including a relaxing poolside bar, speciality smokehouse and grill restaurant, lobby dining area with landscaped deck and a boutique rooftop bar with unbeatable vista views of the Nairobi skyline on the 43rd level. 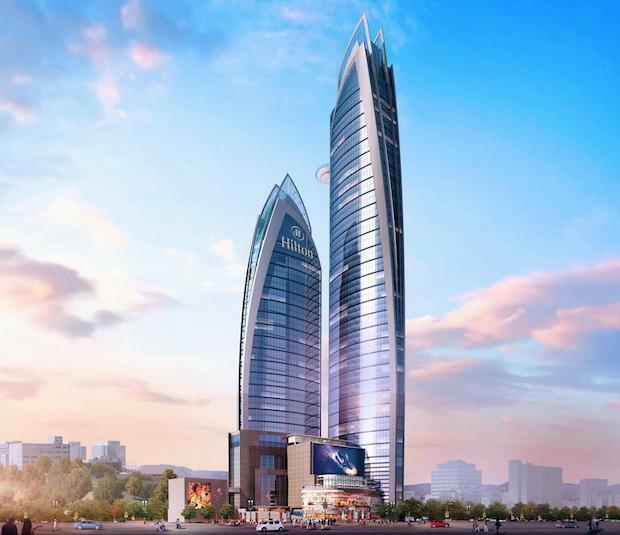 The hotel is set to open in 2020 and joins 50 Hilton Hotels & Resorts properties trading or under development in 17 countries across Africa. Patrick Fitzgibbon, senior vice president, development, EMEA, Hilton Worldwide, said: “In recent years Upper Hill has grown to become a hub for international businesses and organisations, with a number of embassies and organisations setting up their regional offices in the district, including Cisco Systems, World Bank and the IMF. Kenya is one of Africa’s fastest growing economies with strong growth in agricultural, tourism, construction and telecommunication sectors. The country’s diversifying economy means it is a popular destination, busy with leisure and business travellers. Jim Holthouser, executive vice president, global brands, Hilton Worldwide, said the new property would be the 50th Hilton Hotels and Resorts property trading or under development in Africa. “Reaching this milestone is a testament to Hilton’s love of hospitality, which has helped drive the brands growth across the continent since first introduced with the opening of Hilton Addis Abba and Hilton Nairobi in 1969,” he added. Hilton is set to double its presence in Africa in the next three to five years and is focused on further development prospects all over the continent, entering new countries but also growing in areas with an existing Hilton presence.